World of Darkness, el nuevo MMORPG de CCP ambientado en el universo del juego de rol Vampiro, ha sido presentado durante la EVE Fanfest, donde se han podido conocer algunos detalles del juego y observar las primeras imágenes en movimiento del mismo. Brian Mitsoda is a northamerican game designer. 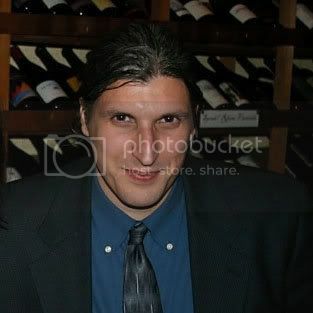 We have talked about him before, but in case you do not know him, we should remember he has written great amount of the Vampire Bloodlines story, including the dialogues of the Malkavian clan, and he is primarily responsible for the level Ocean Hotel, from the same game. Perhaps this could be his best known work, but he has also been part of Black Isle for the development of TORN, later canceled, and Obsidian, collaborating in Alpha Protocol. Tal vez el nombre no os diga mucho, pero Brian Mitsoda es el autor de los diálogos de Malkavian en Vampire The Masquerade: Bloodlines, además del nivel Ocean Hotel en el mismo juego. Os podéis hacer una idea de la calidad del trabajo de este señor.